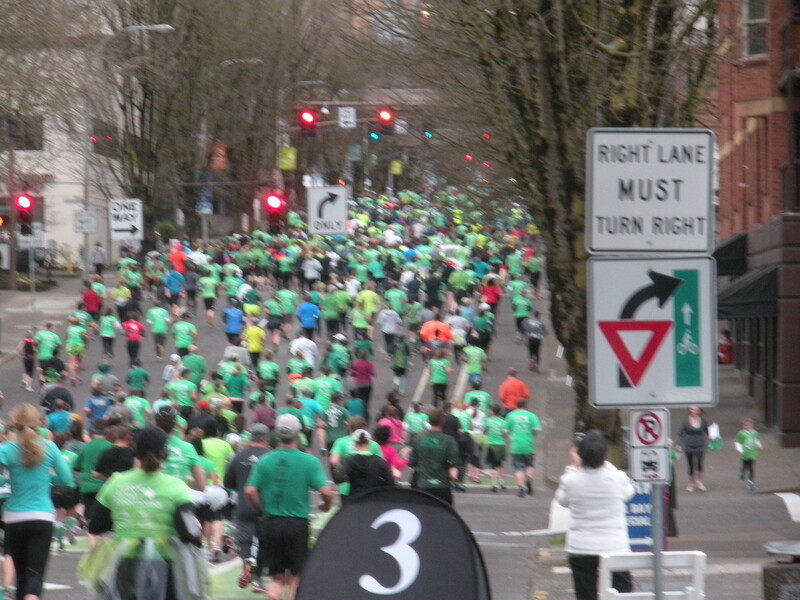 Running the Portland Shamrock Run has been on my bucket list for quite some time. 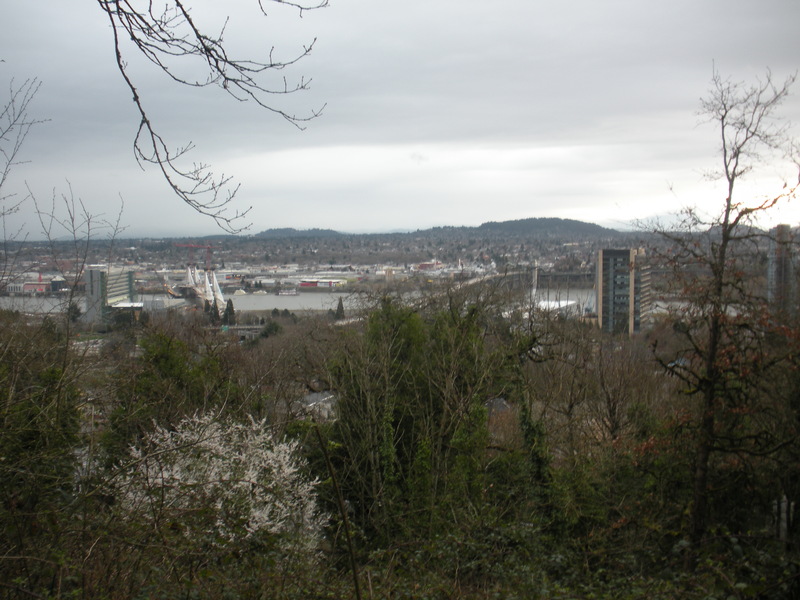 While not quite as cool as being in Dublin for St. Patrick’s Day, Portland puts on a great showing. Because I am always up for the biggest challenge, I signed up for the 15 km race. Also, it was the same price as the 8 km and 5 km races, so I received more miles per dollar (or something like that). Additionally, the 15k was the only race where finishers received a medal that doubled as a beer opener. 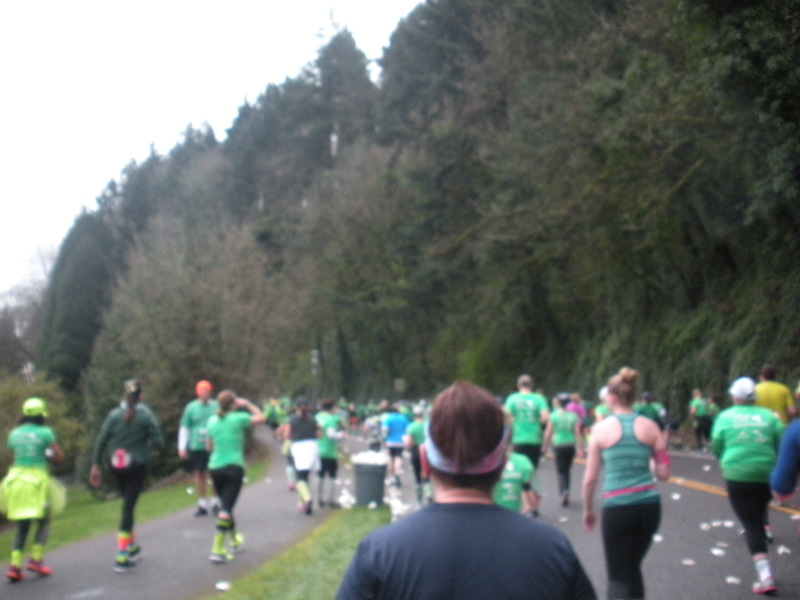 The biggest challenge of the race for most is the 3-ish miles run over the “Terwilliger Curves.” The above picture was actually taken at the Mile 4 water stop, as many people slowed to a walk. I actually found the downhill portions to be more difficult, and I am sure my knees will thank me tomorrow. 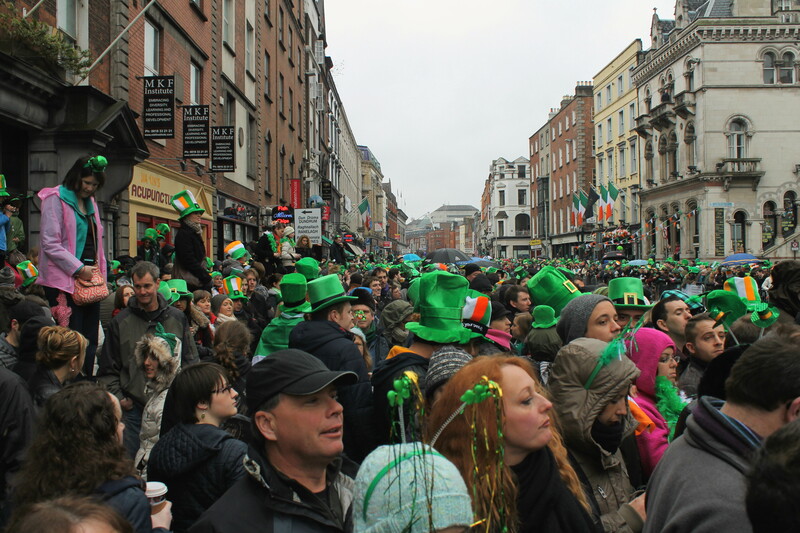 …and musical entertainment to help the miles fly by. With over 35,000 runners, the finishers’ area was a bit chaotic, but I did manage to get my complimentary taste of Stanford’s smoked salmon chowder and Widmer Upheaval IPA, to make for a tipsy MAX ride home. 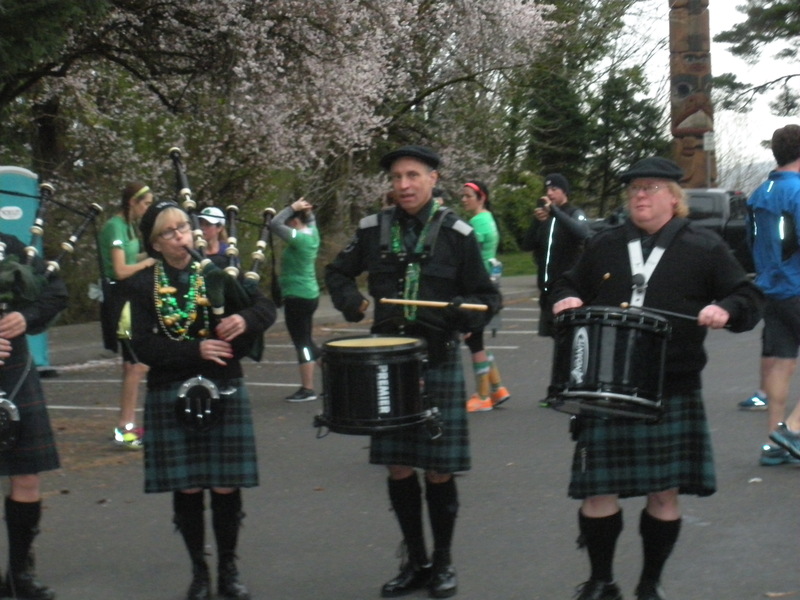 This entry was posted in Healthy Living, Oregon, Running and tagged Oregon, Portland, races, Running, St. Patrick's Day. Bookmark the permalink.